Product prices and availability are accurate as of 2019-04-21 23:10:40 EDT and are subject to change. Any price and availability information displayed on http://www.amazon.com/ at the time of purchase will apply to the purchase of this product. Film ribbon for UX345I. 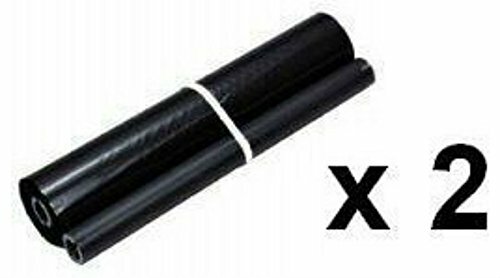 Device Types: Fax Colors: Black Page-Yield: 200 Supply Type: Thermal Transfer Refill Ribbon. 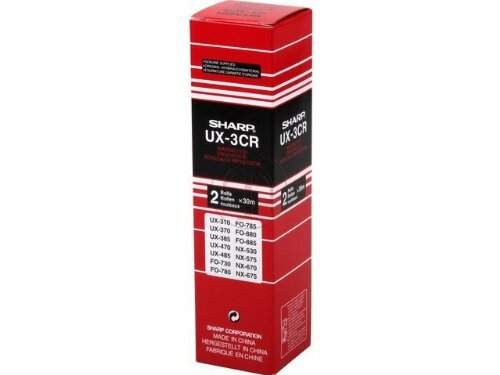 Designed for use with Sharp 300 and 400 series fax machines, the UX-3CR is a monochrome black fax film roll that provides 30 meters (98 feet) of film. 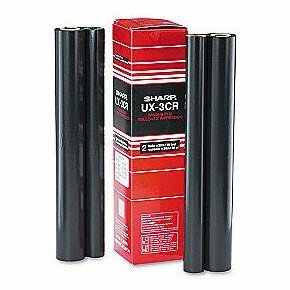 Each roll yields approximately 100 pages and is part of a thermal transfer system that provides high quality and durable prints. The UX-3CR is also easy to install and replace. Simply open the fax cover, replace the roll, and close the cover. 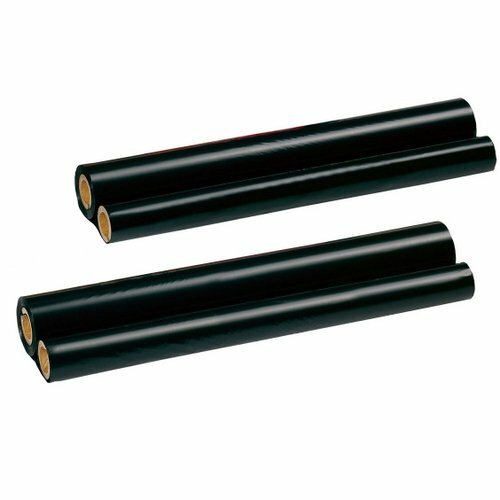 Two rolls are provided in each pack.